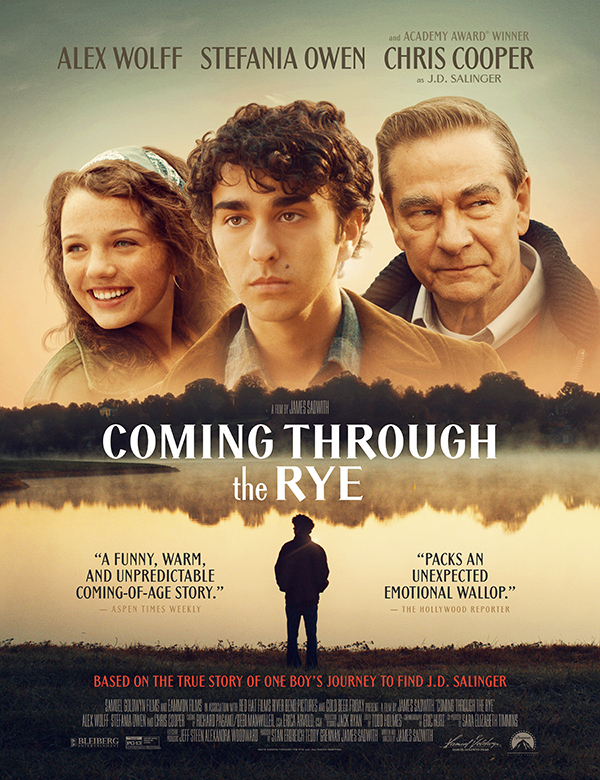 Set in 1969, “Coming Through the Rye” is a touching true story of sensitive, 16 year old Jamie Schwartz, who is not the most popular kid at his all boys’ boarding school. Disconnected from students and teachers, he believes he is destined to play Holden Caulfield, the main character of The Catcher in the Rye and has adapted the book as a play. After a series of increasingly hostile altercations with the boys at school Jamie runs away to search for the book’s notoriously reclusive author, J.D. Salinger. On his way he picks up Deedee Gorlin, a quirky townie. Their journey to find Salinger becomes an odyssey of sexual awakening, the discovery of love and finding meaning in one’s life.